Product #21707 | SKU NTP3RC-B | 0.0 (no ratings yet) Thanks for your rating! 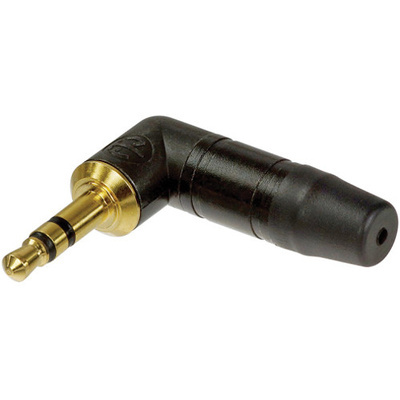 The black and gold Neutrik 3.5 mm Right-Angle Stereo Plug is a metal-bodied 3.5 mm jack plug with chuck-type strain relief for secure cable retention. It accepts cables from 2.0 to 4.5 mm.